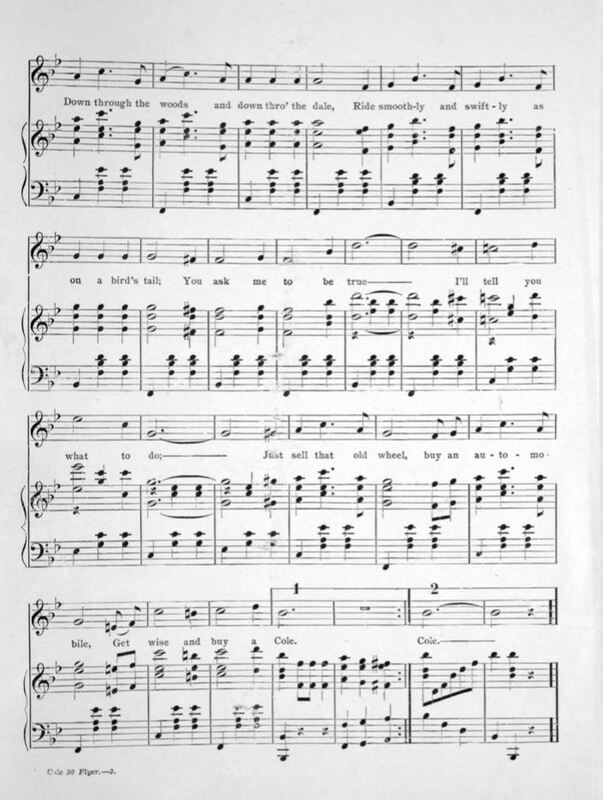 In 1910 or 11 Cole came out with sheet music and a song to advertise the Cole 30 Flyer car. 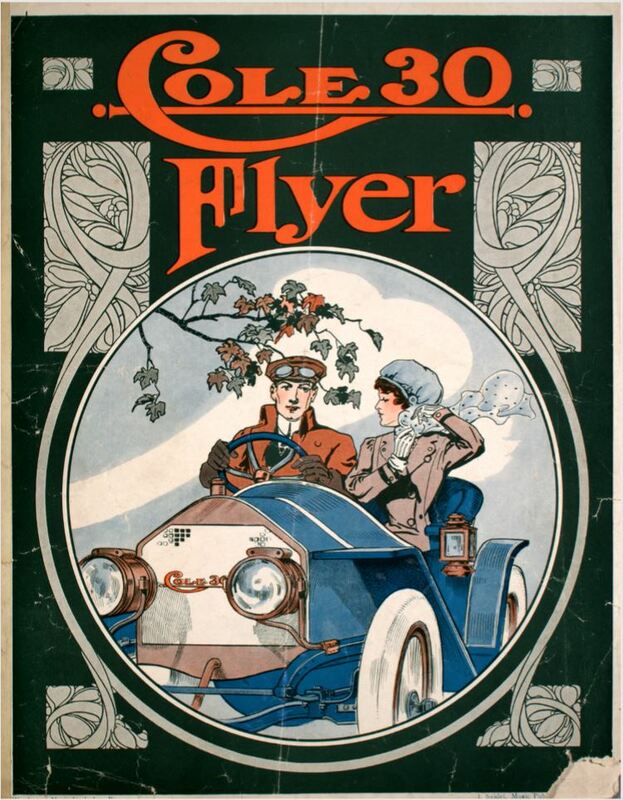 Several of the car manufacturers produced these to promote advertising of their automobiles. They would distribute these at the dealers or the auto shows that would take place at major venues. 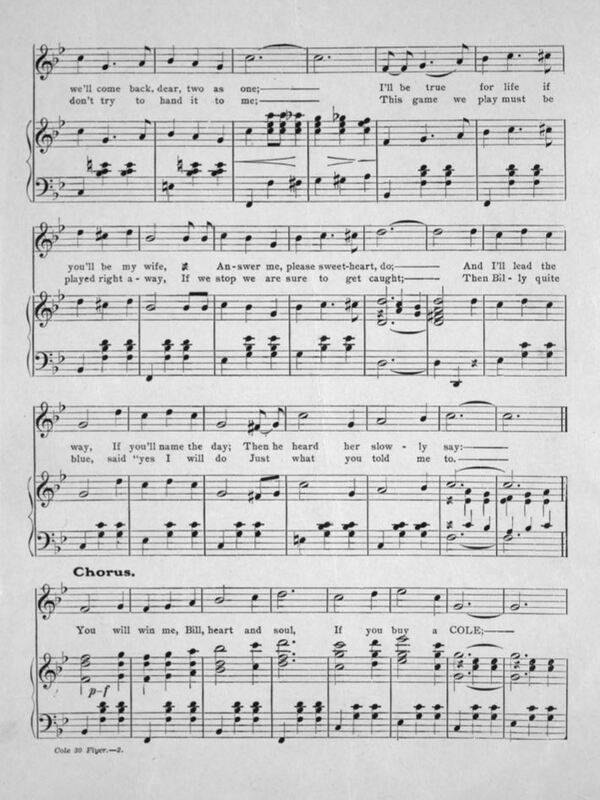 This song is a wonderful love story that essentially says if you had a Cole you could get the girl! 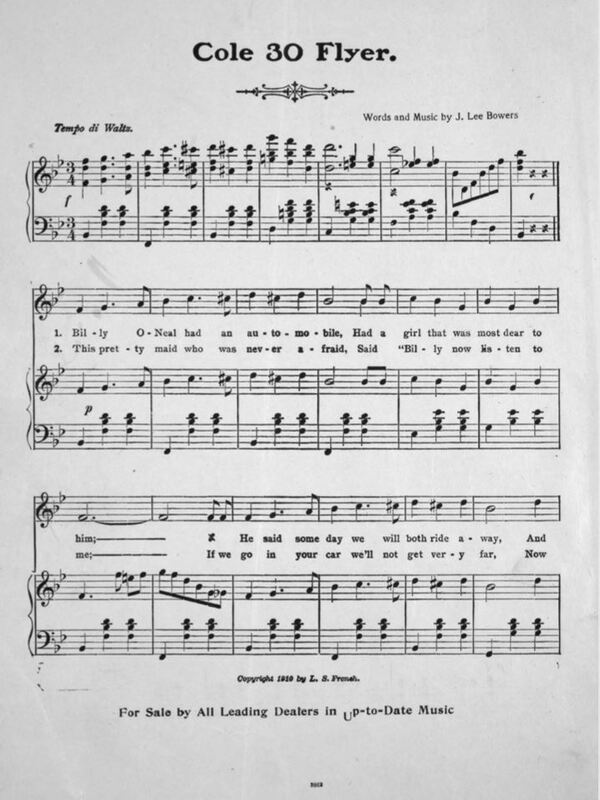 Here is a copy of the sheet music and a recording of the song.